Mansfield Town boss David Flitcroft will stage Stags’ latest press conference at the One Call Stadium today at 9am. Don’t miss our exclusive Chad Stags Facebook Live broadcast straight afterwards to find out the very latest news from the club. We will talk to Flitcroft about the thrilling final day of the season ahead and their play-off chnaces as they face Crawley on Saturday. Simply go onto our Chad Stags Facebook page and watch the broadcast after the meeting, which will then be available on there all day as a recorded piece. 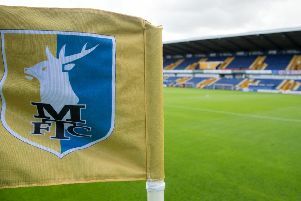 Give us a like on there and become part of our ever-growing community of Mansfield Town fans wanting the best coverage of their football club.